Beck recorded a short version of "Beck Will Die" for One Foot in the Grave, but did not release it. The outtake never really circulated, but the lyrics were put up on the old version of beck.com. "This is about this guy that wanted to kick my... can I say that? He wanted to kick my sass. So and then, he's in a band and he went writing all these songs about how he wanted to kill me. So I wrote a song about how he wanted to kill me. This is called "Beck Will Die."" Beck seems to be mixing point-of-views here, which is an interesting technique (if intentional)--all the I's, he's, you's get a little confusing to follow. Some lines feel like they're told from his fearful eyes, while others are from the side of the guy who wants Beck to die. 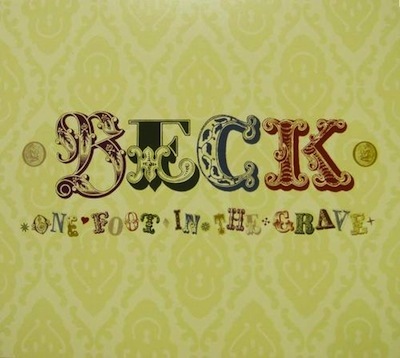 Then in 2008, Beck put together a deluxe version of One Foot In The Grave with a great deal of outtakes. This song was included! It went through some name changes before settling on "Burning Boyfriend." This is the only known performance. It was probably the live debut as well. The lyrics are longer, as you can see above. For a few years, we knew this song only from a radio show, at which Beck introduced the song as "Beck Will Die." (See the story above.) Then the outtake version was added to beck.com under the "Beck Will Die" name. Then an early tracklisting for One Foot Deluxe referred to a song called "Axe Ex." A few weeks later, the tracklist changed that to "Burning Boyfriend." Turns out--it's "Beck Will Die"!